NEW BERN, NC -A Martin Audio CDD system was installed at Latitude Church. DP Design recently installed Martin Audio CDD to solve a variety of acoustic challenges at the Latitude Church in New Bern, North Carolina. 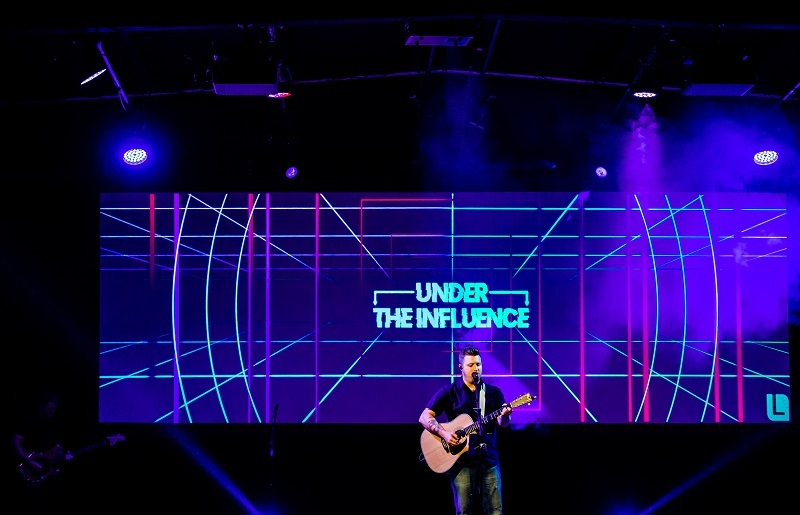 The church is based in a large facility that originally served as a manufacturing warehouse with “a variety of acoustic challenges in a space that wasn’t designed as a worship sanctuary. “Latitude became known as the rock and roll church in terms of having the highest volume levels,” David continues. “They originally committed to a used line array system from a well-known brand that had seen better days on tour. It was woefully inadequate with three boxes a side for a 90-foot throw in a long, low trim height room. It sounded incredibly loud and harsh up front with drivers blowing and a host of other problems.